As customer-focused executives, you understand all too well that success today is based on delivering great customer experiences. Increasingly, this means that you need next generation applications to support new processes, products/services and even business models. These applications aid a variety of functions, including serving customers across channels, assisting with sales and marketing operations, supporting customer communities, and enabling e-commerce and other digital services. And while you likely see the importance of building new apps to drive greater customer engagement, you’re not alone. Your competitors (along with new app-centric start-ups ready to disrupt your industry) are all rushing to enhance their systems to support better customer interactions. And in this race to delight customers, time to market is crucial. But despite growing business demand (and senior level support), many IT teams struggle to deliver these systems fast or flexible enough. The challenge is often the same: IT teams cannot support the burden of legacy systems while also delivering the multitude of applications crucial to the future growth and success of the business. What’s more, the complexity of traditional development approaches go against the philosophy behind innovation and rapid, iterative development. Traditional coding is slow and inflexible whereas users have grown used to fast and frequent software releases, thanks to the multitude of apps on their mobile devices. It’s no wonder business executives lack confidence in IT. According to Forrester, executives in customer services, product development and sales were the harshest critics of CIOs, with 79%, 78%, and 74%, respectively, saying that IT does not accelerate their success. But while the situation may appear dreary, a solution does exist that can help customer-facing executives meet their growing application needs without dramatically increasing the organisation’s IT team—or circumventing them altogether. LV= has effectively broken the grip that legacy systems had on their ability to release new concepts to market and introduced a massively faster way of delivering customer-focused applications. What’s their secret? Low-code development. Low-code development platforms have emerged to bring business and IT together to rapidly and collaboratively deliver new customer-facing apps, without a large-scale overhaul of existing core systems or costly and complicated custom programming projects. These platforms work by empowering users with innovative tools that offer a real alternative to traditional coding. - Accelerate and simplify with visual modeling – Users create applications through the use of visual design and workflow tools, ultimately speeding the design and development process. By building apps with visual models instead of traditional lines of code, domain experts with significant business insight can more easily collaborate with professional developers or even take a leading role in the development process. - App store also for your enterprise apps – Users have access to pre-built templates, and reusable widgets and components. By inserting pre-built elements into the visual design process, users can even further speed development efforts. - 1-click Cloud deployment and a closed-loop app lifecycle – Business and IT users can interact together within one platform that manages everything from requirements, design, development and even instant deployment in the Cloud – no set-up needed. By utilizing a platform that lets the project team focus on solving the business problem at hand without having to worry about infrastructure, technology or complicated programming languages, more users can interact across the full application lifecycle, improving the overall output based on frequent review and iteration. Low-code platforms are helping companies to slash delivery timeframes from months to weeks (or even days), implement continuous delivery based on real-time updates, and deliver stronger applications driven by user feedback. Users can easily create systems of engagement that meet existing and future customer needs. While the value of low-code development should be clear, adopting the platform requires more than just new technology. Low-code platforms rely on a new approach to development, ultimately, a new way to deliver next generation applications. Realigning around speed and agility requires changes to the people and process behind your technology. First, consider the people within your business best suited to work within low-code development platforms. Given the speed of delivery and regular involvement from the business, you need small, cross functional teams that can easily bridge the gap between business and IT realms. LV= Insurance turned to low-code development to pursue business initiatives that weren’t a focus for IT (either due to time or cost constraints using traditional approaches). The policy administration application above is just one of several examples. LV= recently finished another project to deliver a broker workflow app that combined three processes on three systems into one application with an automated tracking and reporting feature. What’s impressive is that two developers built the production-ready app in just one week—without writing a single line of code! Second, consider how you’ll update processes to facilitate collaboration and feedback. Gone are the days where business stakeholders define requirements and then wait six months before seeing any software. Instead, all users must be prepared to work within an agile, iterative setting, where prototypes are shown early and often, and user feedback trumps the original scope of work. Take Dun & Bradstreet, a leading source of commercial business intelligence, for example. D&B leverages low-code development to help its clients supplement the company’s rich information sources with client data to achieve a comprehensive, 360-degree view. No matter the industry, every business is looking for ways to boost customer engagement through the rapid innovation of customer-facing apps. To do this, you need a better way to collaborate with IT and collectively deliver the apps that will power next generation customer experiences. Low-code platforms enable rapid, iterative and collaborative development. Business and IT teams can test new applications quickly and learn from real-time feedback. With the right tools in place, and the right people and processes at play, your business will quickly churn out new customer-centric applications that enchant your customers and encourage brand allegiance. With a track record in successful technology marketing in high-growth environments, Gottfried Sehringer is responsible for leading the company’s marketing strategy, product marketing, communications and demand generation initiatives. As a marketing innovator Gottfried has led numerous companies into new markets, positioned companies for growth, spearheaded product and technology innovation, forged strategic partnerships, and designed high-velocity marketing models for scale. 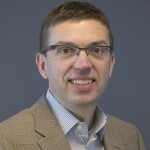 Before Mendix, Gottfried held a series of executive positions with SmartBear Software, SAP, Softrax and several other enterprise software organizations. He holds an MBA from the University of Mannheim, Germany.